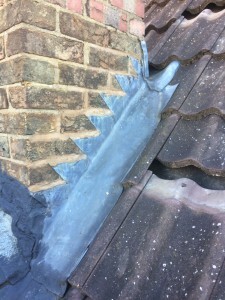 This job was a grade 2 listed building and the local Conservation Office had managed to allocate some budget towards the roof repairs of this privately owned property. 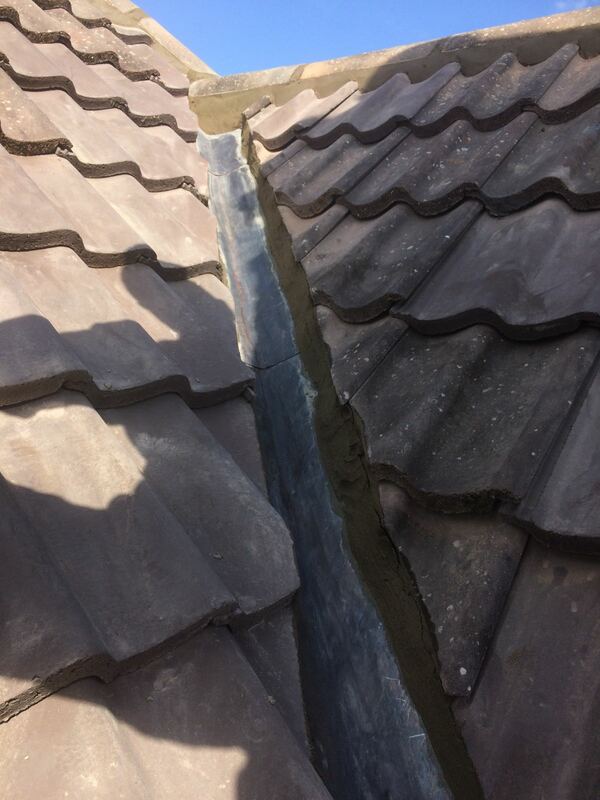 A relatively straight forward job. 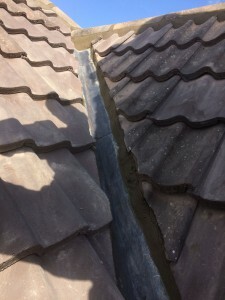 The customer had called regarding several leaks around the valley and step flashing. 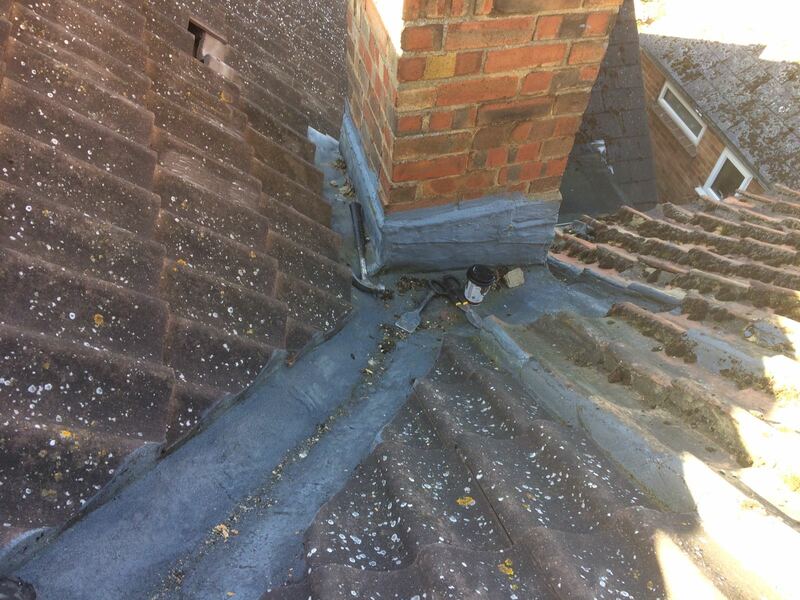 On the picture to the right, you can see the lead chimney flashing in question. 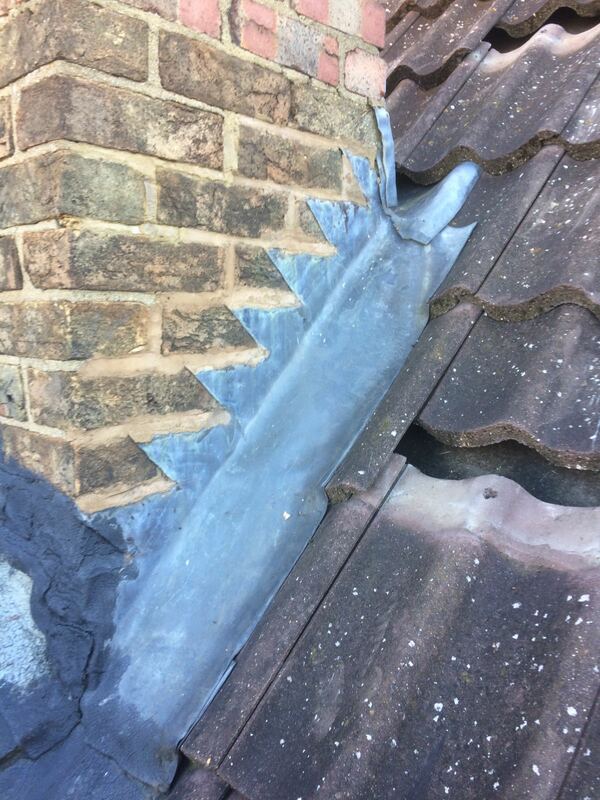 We first stripped out the old lead and then accurately replaced it with some sparkling new lead! For further protection to the new lead, we applied an oil known as “Patination oil” to it. This would not only provide a finished look to the lead, but also, help the water glide off the surface of the lead. lead and then pointed it up. We finished it off by applying the “patination oil”. As you can see, the job was a success!